What a fascinating series! 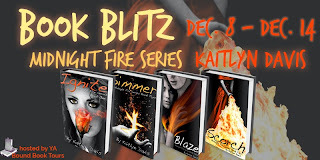 I love paranormal romance and have added this series to my TBR list. I really enjoy inexpensive boxed sets that have all the books in the series. Thanks for the great giveaway! wow these books sound great. I know i'm going to be hooked and fall in love with them. Happy Reading. Ooo... a Southern Vampire romance! That sounds awesome! I loved True Blood so I'm sure I'd love this! Thank you so much for joining my blitz!! I loved reading everyone's comments--so happy you and your readers enjoyed learning about my series! Have a wonderful holiday!